I’m excited to share a really special giveaway tonight from my friends at The Influence Network. 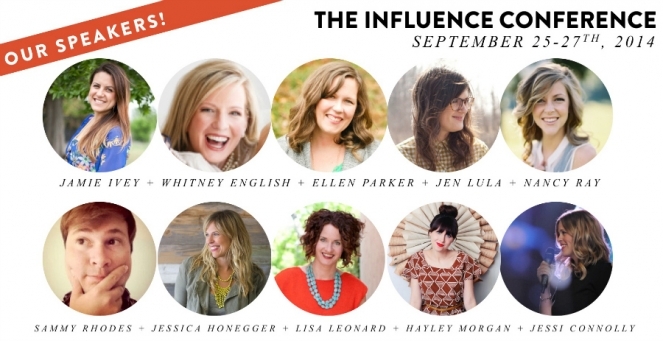 The Influence Network team is made up of a group of women that I wildly respect, love and admire. For those of you that have never heard of The Influence Network, a bit of background: My friends Jess and Hayley started the Influence Network several years ago. They gathered a tribe of women who believe that God has given you influence right where you are, for His purpose. All year long on their website, they have super helpful videos, forums, online classes, a cool newsletter and lots of helpful tools to help you discover your own influence and how to maximize it for His glory. And then, every year, there is a conference. Because, sometimes (always, for me), it’s fun to learn and grow and celebrate with other people. Not just online, but with skin on. At the conference specifically, there will be teaching, talking, sharing and celebrating concerning the ways He might want to use you on the individual platforms He’s given you. (Even if you don’t think you have a “platform,” trust me, you do. If you’re reading this, you do). The conference is this coming September 25-27 in Indianapolis, Indiana, and I would LOVE to meet you there! And here’s the super cool part. This year, the Influence team has assembled their biggest giveaway ever: A FREE Influence Experience! 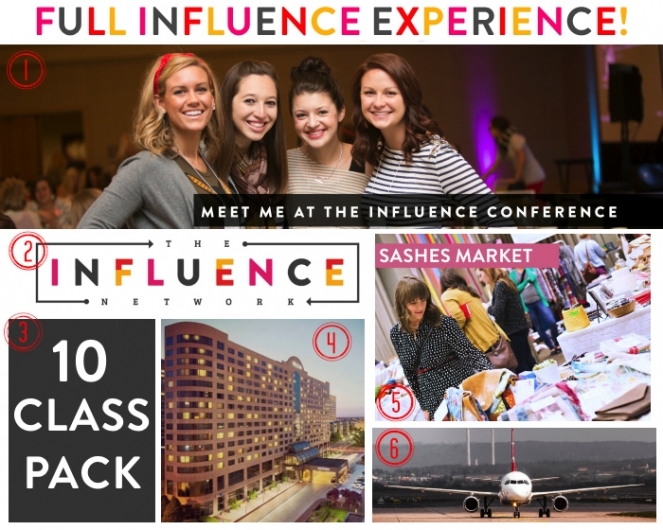 Everything you need to make your Influence Conference dreams come true! But seriously, that’s over $1000 in free stuff! * * i n c l u d i n g . . .